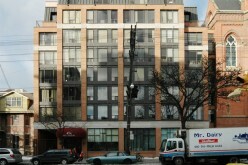 A new question was submitted to Toronto Condominiums FAQ on the 51st week of 2008. Kongratulations to Sean Watson for winning $25 gift certificate at LCBO this holiday season because he entered our Krazy Kontest! 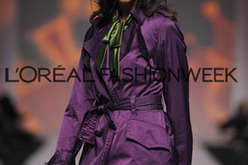 Enjoy $25 on us at The Julie Kinnear Team. Just answer the following skill testing question for your chance to win! Helen Bucknell! Congratulations for winning the Pottery Barn Gift Certificate! Enjoy the early holiday season. A new question submitted to Toronto Condominiums FAQ on the 46th week of 2008. 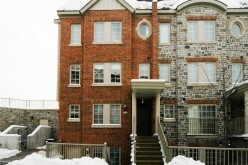 New questions were submitted to Toronto Condominiums FAQ and Buying a House FAQ on the 45th week of 2008. An invitation to the last day of L'Oreal fashion week, Friday the 24th of October 2008, came completely by surprise to me the previous evening. Enter this month's Krazy Kontest and win a $25 gift certificate to Pottery Barn! Just answer the following question for your chance to win! Opening Soon: Loic Gourmet offers Freshly Prepared Food To Go! Loic Gourmet makes Delicious Lunch and Dinner Easy with free delivery to your home or office with a minimum order of 30.00 in their local area. Should you lock in your mortgage? These days everyone is in a state of anticipation: what's going to happen to the economy and the markets next? The National ‘Do Not Call’ List is here! Now you can ensure that telemarketers never call you again, by registering your phone line on the National Do Not Call List. A good time to buy stocks! Check out this article on what Warren Buffett (arguably the most successful investor ever!) has to say about the current stock market. 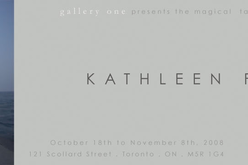 Kathleen Finlay at Gallery One! Our friend and client Kathleen Finlay is proud to present her exhibit 'A Clown Story' showing at Gallery One from October 18 - November 8, 2008. This month's winner is Joel Magnan - enjoy your fun food shopping Joel!! A new question submitted to Toronto Condominiums FAQ on the 40th week of 2008. Join us in celebrating the cooler weather by entering this month's Krazy Kontest for your chance to WIN a $25 Loblaws gift card! 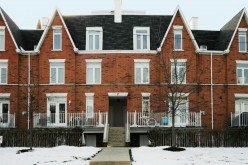 New questions were submitted to Buying a House FAQ and Toronto Condominiums FAQ on the 38th week of 2008. If you have used teen/adult mountain bikes, our Royal LePage office is gratefully accepting bike donations for Bicycles for Humanity. Julie Ross O'Toole is the winner this month. Kongratulations Julie! Check back on October 1st for a brand new Kontest! A new question submitted to Toronto Condominiums FAQ on the 37th week of 2008. 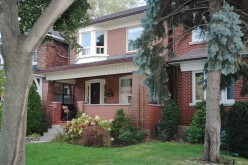 Cabbagetown Tour of Homes on this Weekend! 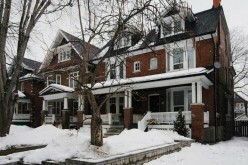 The Cabbagetown Tour of Homes is an volunteer based non-profit organization that leverages the officially designated heritage of this unique neighbourhood. A new question submitted to Toronto Condominiums FAQ on the 36th week of 2008. WIN a $25 gas card! Just answer the following skill testing question for your chance to win! With September just days away it's time to look towards the future to the upcoming Oscars race and the greatest film festival right in our own backyard! 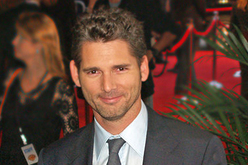 Jim’s Movie @ the Toronto International Film Festival! Our client & friend Jim Blokland is in the news again! 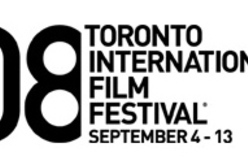 The feature film 'NURSE.FIGHTER.BOY' which he edited, will be premiered at the '08 TIFF! Heather Timm is our winner this month. Kongratulations Heather! We hope you have a great time at the Ex! Square Foot Art Show Grand Opening! Our friend & client Graham Curry would like to invite you to the grand opening of Square Foot 2008 - an exhibit of art from over 600 artists! Find Your Bliss – Grand Opening! Our friend & client Sandy Kiaizadeh is excited to announce the grand opening of her new web site and Professional Coaching practice. Enjoy this opulent period piece and remember why a quiet life in the country is sometimes best. A new question submitted to Buying a House FAQ on the 30th week of 2008. 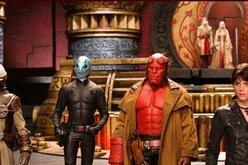 Nicole fell head over heels for the big red lug in this sequel to 2004's Hellboy. The effects are great and there is a lot of humour. This months winner is Orysia Semotiuk! Congratulations Orysia! Check back August 1st for next months Krazy Kontest! 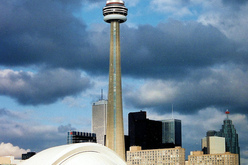 Two new questions were submitted to Toronto Condominiums FAQ on the 29th week of 2008. A question submitted to Toronto Condominiums FAQ on the 27th week of 2008. A question submitted to Toronto Condominiums FAQ on the 26th week of 2008. The Julie Kinnear Team Goes Green! Just to let you know - in keeping with our general 'green' philosophy, we have switched to 100% recycled paper! Louise Glackmeyer is this months winner. Congratulations Louise!! We hope you enjoy the shopping trip! A question submitted to Buying a House FAQ on the 22nd week of 2008. 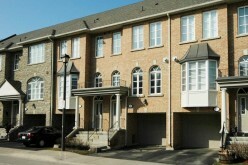 New questions were submitted to Buying a House FAQ and Toronto Condominiums FAQ on the 21st week of 2008. This month's winner is Bambi Alvia. Kongratulations Bambi! We hope you enjoy your meal. A question submitted to Toronto Condominiums FAQ on the 20th week of 2008. A question submitted to Toronto Condominiums FAQ on the 19th week of 2008. Our client Helen Bucknell is trying to save her son's school pool from closure, and we thought many of you could be facing the same issues. 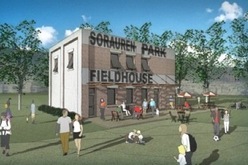 The Sorauren Park Fieldhouse Grand Opening May 5 at 7pm! Hundreds of residents and visitors got their first inside peek at the new Sorauren Park Fieldhouse at the April 19 open house. Local, sustainable food in a great central location! Natural, organic, sustainable local food is not only good for the environment but also tastes better! A new question submitted to Toronto Condominiums FAQ on the 17th week of 2008. 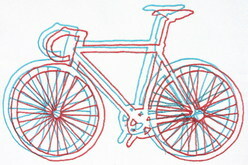 This month Kongratulations go to Ayumi Iizuka, winner of the $25 gift certificate from Canadian Tire. A new question submitted to Toronto Condominiums FAQ on the 16th week of 2008. 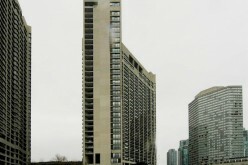 Two new questions were submitted to Toronto Homeowner FAQ and Toronto Condominiums FAQ on 14th week of 2008. Attractions in Toronto – 7 Places You Don’t Want To Miss! If you're up for a free weekend, don't miss out on our team’s recommendations for some of the top spots of Toronto! 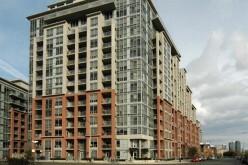 A lot of new questions were submitted to Toronto Condominiums FAQ on the 13th week of 2008. 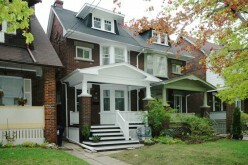 Attend one of Toronto Building's Renovation Forums and start planning now to make your home safe and a sound investment! Earth Hour is a global event, with 24 cities worldwide participating and taking the simple steps needed to reduce our emissions. Don't you have a lot of special memories experienced in your home? Well, they could win you a $25000 HBC shopping spree! Free Tickets for the Real Estate & Wealth Expo!! On Saturday March 29, the Real Estate & Wealth Expo comes back to Toronto and we are offering you COMPLIMENTARY TICKETS! Wooo hooo, congratulations Jenn! Jenn chose option 3 - the $500 shopping spree at any Cadillac Fairview Mall. 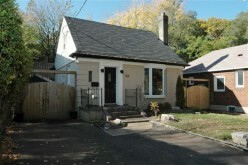 What you've all been waiting for - drumroll please - the Julie Kinnear Team March 2008 Toronto real estate newsletter. Do your part by contacting the Yellow Pages and the White Pages to ask them to stop sending you a hard copy of the phone directories. Have you ever been called a little geek? It’s a compliment. Little Geeks will gratefully accept any computer (Mac or PC), printer, scanner or computer parts from you of any age. Are you willing to give up your car? If you don't 'have' to own a car for the daily commute but sometimes need one, AutoShare may be for you. Women + Wellness = Wellspot 2008! Our client and Chiropractor extraordinaire, Dionne Watson, is proud to be part of this year's Wellspot 2008! Put your used clothes & housewares to good use! Believe it or not, the Canadian Diabetes Association makes housecalls to pick up your used clothing & household items - call them for a free pickup! 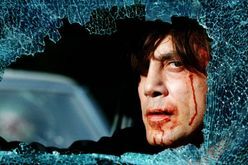 Julie reviews No Country For Old Men - the winner of 4 Oscars including Best Picture, Director, Adapted Screenplay and Supporting Actor. 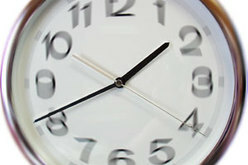 March 9 is the big day to “Spring Forward”! We lose an hour of sleep, but it means Spring is really here - with longer days to come! 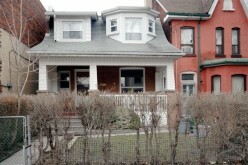 New questions submitted to Selling Your Home in Toronto FAQ on the 10th week of 2008. Attention Parents: Great entertainment for your kids! 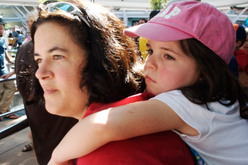 Do you feel like you've exhausted your kids' entertainment options? Our client Chris Jones told us about the Lorraine Kimsa Theatre. 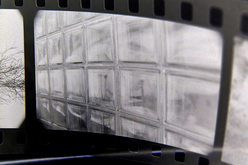 Many areas of our city have been enriched with cinematic history. Check out Toronto in the movies, the latest addition to our Movie Guide. Tired of the same old dining & entertainment? Check out our client Rosemary Leach's lovely work, as well as original works by over 350 other artists, for FREE on gala opening night. Get ready for the warm weather with peaksaver®! This technology communicates with your AC unit to lower the amount of electricity it uses for brief periods of time. Deb Gallant is our marvellous winner of a $25 Laura Secord Gift Card. Be sure to share your sweets Deb! New questions submitted to Buying a House FAQ on the 7th week of 2008. Our client Stephanie Pelton Hatcher told us about this great organization that will give your old computer to a child in need. 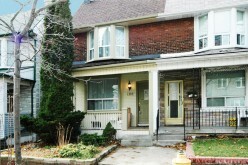 New questions submitted to Toronto Homeowner FAQ on the 6th week of 2008. Just as our home buying checklist last week, we're bringing you the same breakdown for selling. Buying a new home is a rather complicated process, but it's safely manageable if you break it down to smaller parts. How to be a green realtor. A lesson from Heather MacEachern. New questions submitted to Toronto Condominiums FAQ on the 5th week of 2008. New questions submitted to Buying a House FAQ on the 4th week of 2008. Smart Meters are one of the latest tools to help you record how much energy you use, when you use it, and how much it's costing you. Improve your home's energy efficiency & cut costs! 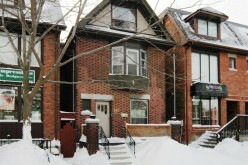 Read Toronto realtor Julie Kinnear's four tips on how to winterize your home. How to burn more efficient fires and to protect unused chimneys. Find out who won Julie Kinnear's January Krazy Kontest. Congratulations to the winner! Read our latest ideas about saving energy in winter - and you may save some extra bucks this time. Read the article for a couple of very handy, season-specific tips on how to save precious energy - and money as well! Recycling Unusual Items in Toronto? 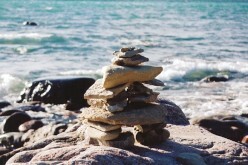 Check out our new article in the Green Lifestyle section about Recycling in Toronto.